Whether it’s on a warm summer afternoon that you’re craving fresh fruit granita or on a lazy evening with a chilled soda, the amazing ice maker comes in handy in all circumstances. Especially if you are a frequent entertainer then we do not need to emphasize how quintessential this portable device is to you! However, it is of utmost importance that along with all other kitchen appliances, you also keep your ice maker clean. People often tend to overlook this task thinking the constant use of water in it keeps it clean anyway, but that is not the case. 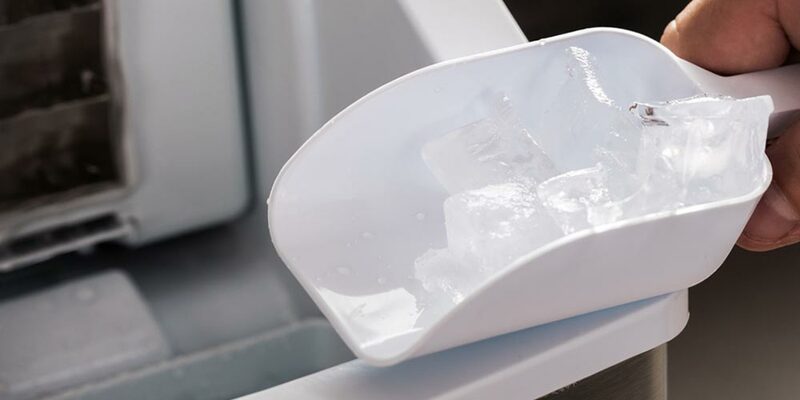 Why is it important to clean your ice maker? Whatever we eat significantly affects our health – be it a meal or the condiments within. Although ice is consumed indirectly, it must tick all the safety boxes required to meet a certain standard. In order to maintain this, cleaning is mandatory. Dirt, mold and slime can easily build up in your ice maker to the point that they become visible even to the naked eye. Furthermore, without proper maintenance, your device becomes susceptible to damage and thus regular cleaning and sanitizing keeps it in good condition so that it can run efficiently. How to clean your ice machine? Different brands of ice maker have different requirements for cleaning. You should always refer to the user manual provided for assistance for the proper method of cleaning. It is equally important to both clean and sanitize your ice maker frequently. Safety first, thus make sure your ice maker is turned off and plugged out. Secondly, turn off the water supply to the ice machine and remove all existing ice. Then remove the ice tray and take off the removable parts as instructed by your user manual. Prepare a solution of the cleaner and lukewarm water as per the instruction manual. Use the solution to clean all parts that you removed previously. After that rinse all parts that were cleaned with water. Wipe the parts with a soft rag or towel. If you wish to sanitize you can do it now. Prepare a solution of sanitizer and lukewarm water as per instruction and use a spray bottle to apply it. After that wait for a while as it disinfects. Do not use water once you are done sanitizing. Now let the ice machine air dry and then plug it back in. Restart the ice maker but throw away the first batch of ice. The second batch and onwards is now safe to use!